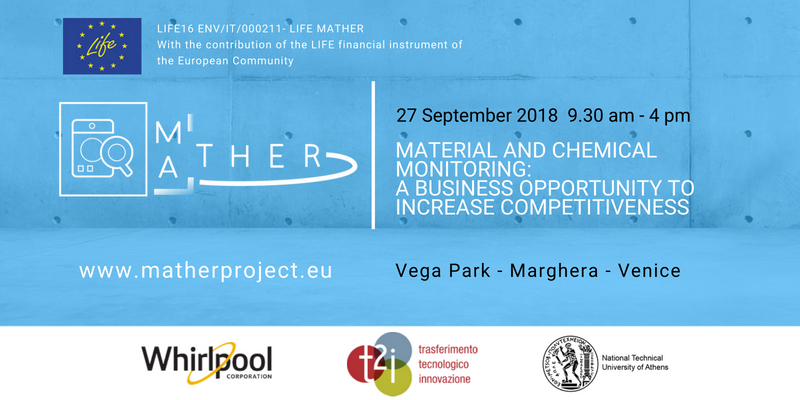 The event will be on 27 of September in Vega Park (Marghera) a former industrial context, converted into a scientific and technological park. The workshop will focus on business opportunities to increase investments and improve competitiveness through chemicals monitoring of consumer products’ materials. To know more about the event, please contact us trough the dedicated form.